The Prevention of Falls Network for Dissemination (ProFouND) is a new EC funded initiative dedicated to bring about the dissemination and implementation of best practice in falls prevention across Europe. ProFouND comprises 21 partners from 12 countries, associate members from a further 10 countries. ProFouND aims to influence policy to increase awareness of falls and innovative prevention programmes amongst health and social care authorities, the commercial sector, NGOs and the general public so as to facilitate communities of interest and disseminate the work of the network to target groups across EU. More specifically ProFouND’s objective is to embed evidence based fall prevention programmes for elderly people at risk of falls by using novel ICT and effective training programmes in at least 10 countries/15 regions by 2015 so as to facilitate widespread implementation. ProFouND will achieve this in three main ways. First, by collating evidence-based resources to inform the development and content of a novel state-of-the-art online web-based expert system; the ProFouND Falls Prevention Application (PFPApp). The PFPApp will enable the creation of tailored, customised, up-to-date best practice guidance, that can be context and individual specific. For example, a Falls Prevention practitioner in assessing the needs of an elderly patient would ask a series of questions to inform the inclusion of best practice guidance from a database of predefined evidence-based articles. 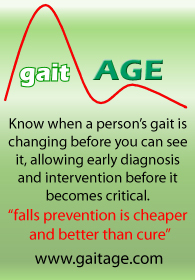 This advice, on aspects of health including for example Vision Impairment, Vitamin D supplements or Strength and Balance Training, etc... would be presented in an easily assimilable and attractive printable leaflet, branded with institutional logos, contact information and other bespoke information according to what is available in the local area. 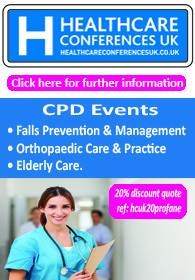 Second, ProFouND, in collaboration with Later Life Training, will provide a cascade model training programme using face to face and e-learning approaches to create a cadre of accredited exercise trainers across Europe to implement exercise regimens that have been proven to reduce falls amongst older people. The idea here is that once trained, these trainers would then in turn train instructors to deliver classes directly to people who need this kind of intervention. Third, ProFouND will also create an “ICT for Falls Forum” to identify evidence based solutions that can help reduce falls and engage with industry to promote development and adoption of these solutions. This forum will run events and reach out to promote MHealth capabilities and European competitiveness in the sector. ProFaNE.co will of course be reporting on major developments and ProFouND will soon invite anyone interested in this work to apply for membership through the ProFouND Network Website. In the mean time you can find out more about the project and each the eight work packages and download the ProFouND leaflet (.pdf click on the image to the right). You can also sign up for updates and by telling your friends and colleagues you will help the project greatly and we strongly encourage you to do so. Finally, if you have spotted the similarity between the ProFaNE and ProFouND names and logo design, this is because the ProFouND project was conceived and developed by some of the same people as ProFaNE and we see them as very different but very complementary projects. Professor Chris Todd, Professor Dawn Skelton and myself first discussed ProFouND in January 2012 and we are delighted that we have this opportunity to work with all the people and organisations involved and hope to bring about significant improvements to the lives of countless people in Europe and beyond. We hope you will join us on this journey and help us make a change!